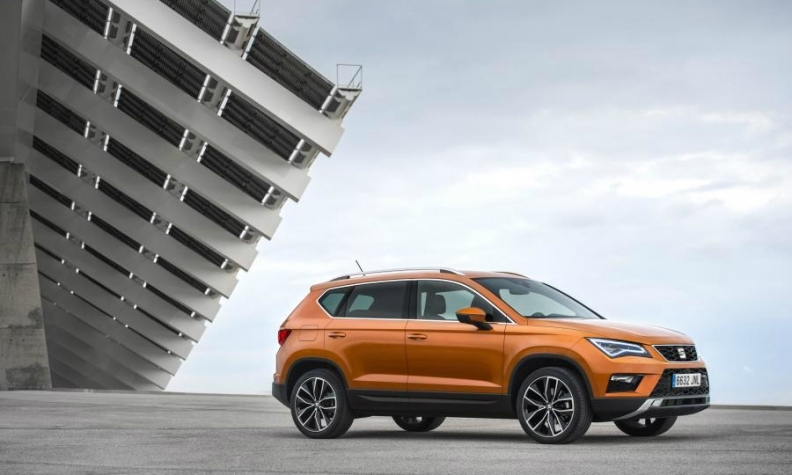 Seat's sales were boosted by its new Ateca SUV, shown. Spanish new-car sales rose 4 percent in October but sales to private buyers dropped by 2.4 percent during the month after a program offering discounts for owners to swap their old cars for new ones ended. Monthly registrations increased to 83,248, marking the best result for October since 2009, the ANFAC industry association said on Wednesday. While sales to private buyers declined during October - three months after the Spanish government axed its PIVE scrappage scheme, business and rental sales grew by 11 percent and 37 percent respectively. Premium brands show strong growth last month. BMW sales were up 15 percent and Mercedes-Benz's volume gained 17 percent. Audi trailed its German rivals with a 2.4 percent increase. Among volume makers, Fiat Chrysler Automobiles had good results with Fiat brand sales gaining 38 percent and Jeep sales increasing by 32 percent. PSA Group had a bad month. Peugeot sales were down 7.7 percent, Citroen volume decreased by 24 percent and DS sales dropped 16 percent. French rival Renault's registrations grew 4.9 percent, while Dacia sales fell 16 percent. Among Volkswagen Group brands, the core VW marque saw sales fall by 6.1 percent, while Seat registrations were up 23 percent as its new Ateca SUV hit the market. Opel sales increased 9 percent and Ford's volume rose by 3.7 percent. Industrywide registrations were up 11 percent to 957,468 cars in the first ten months, with sales to private buyers representing 52 percent of the market. "Self-registrations counted for approximately 10 percent of the market in October," Jaume Roura, president of the Faconauto dealerships, said in a press release. "It cannot become a regular solution to hit sales goals," he said.